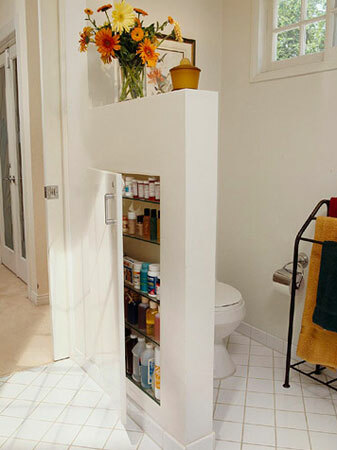 You don’t have to blow the budget to turn your bathroom into a sleek, stylish space with modern bathroom décor. This contemporary white three-piece suite came from Bathstore when a 50% off sale was on. Keep an eye out for discounts and sales as you could save yourself a small fortune. Avoid buying an expensive bath panel when you can tile a removable panel instead. 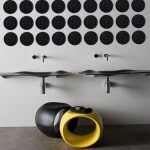 This will also add a streamlined feel — perfect in a modern bathroom. This mirrored wall cabinet hides clutter and soft-close hinges mean they don’t bang shut. 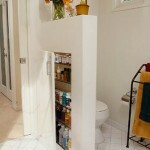 It also reflects light around a small en-suite bathroom. 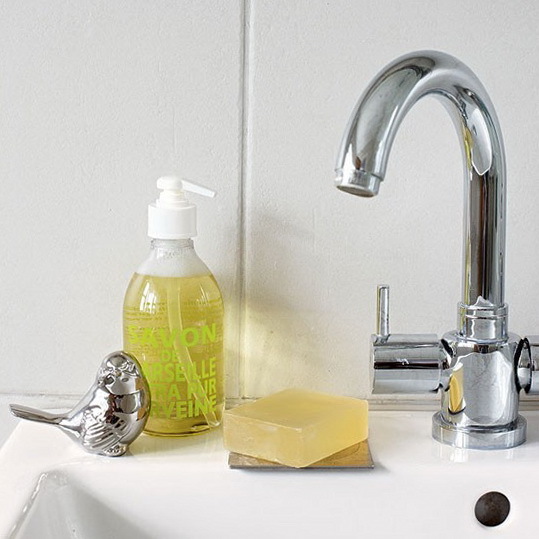 Choose a chunky tap design for a contemporary look, while pretty soaps are a fun and affordable way to incorporate colour into your bathroom, whether in bar or liquid form. 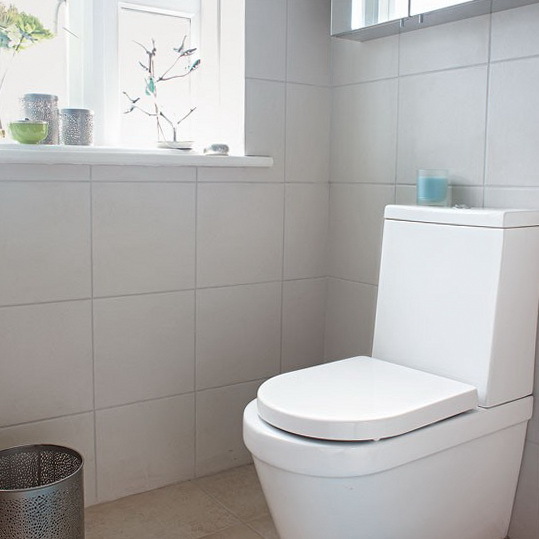 It may seem counter intuitive, but large tiles can actually help make a small room look bigger, so they’re ideal in an en-suite. 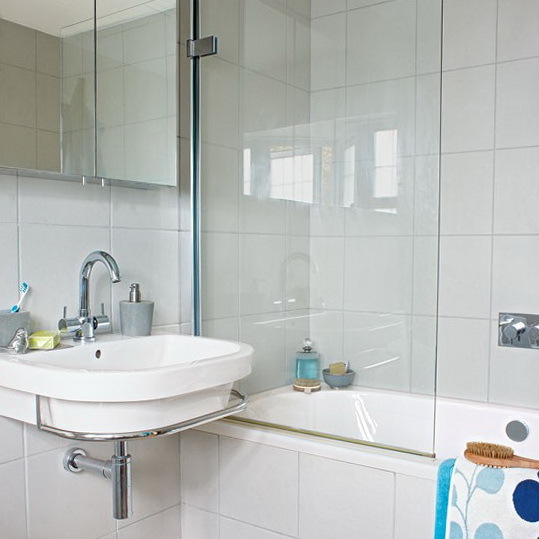 Beige tiles and grey grout are a popular choice for bathrooms, not surprising as it’s a funky and modern look that will also stand the test of time. 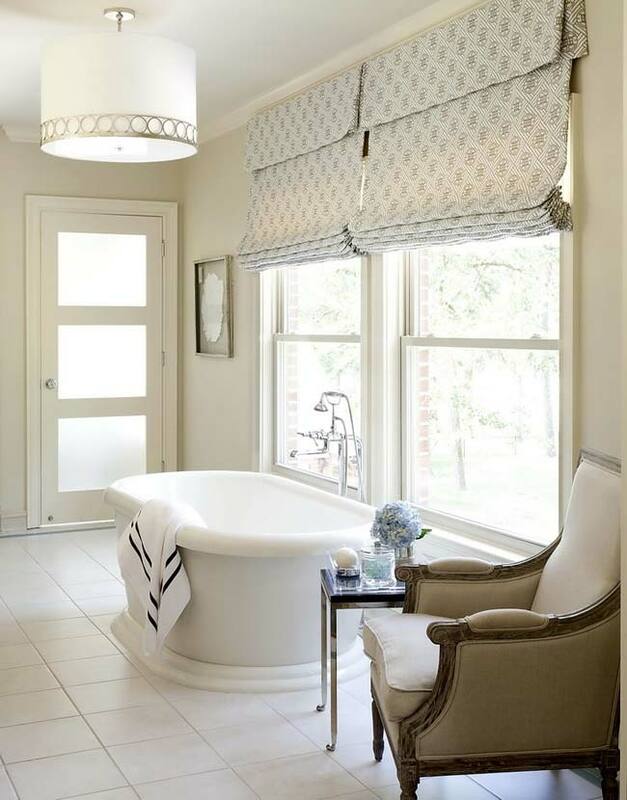 Pampering treats will ensure your bathroom has a relaxing spa-like feel about it. Arrange soft facecloths (in a coordinating colour of course!) and soaps in a pretty bowl and keep a pair of fluffy white slippers next to the bath — you won’t ever want to leave your new bathroom. 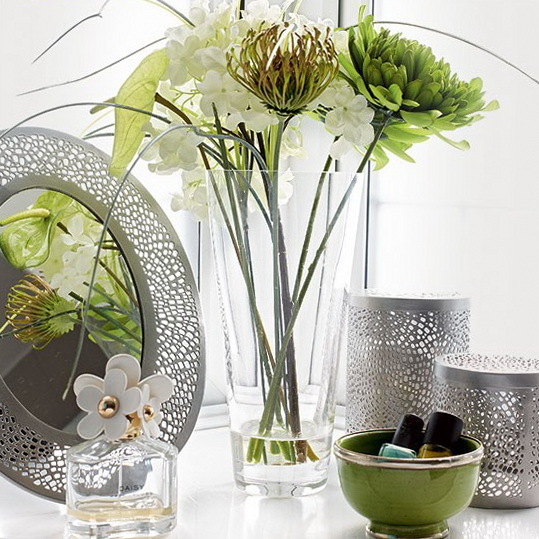 Moroccan-inspired accessories, such as pierced-metal candle holders and frames add to the light, modern feel of the room. Fresh or artificial flowers will not only add colour and interest, they also help bring the outside in — ideal for a natural, serene bathroom. Ditch the boring radiator and opt for a slimline heated towel rail instead — they save floor space and look far more modern. 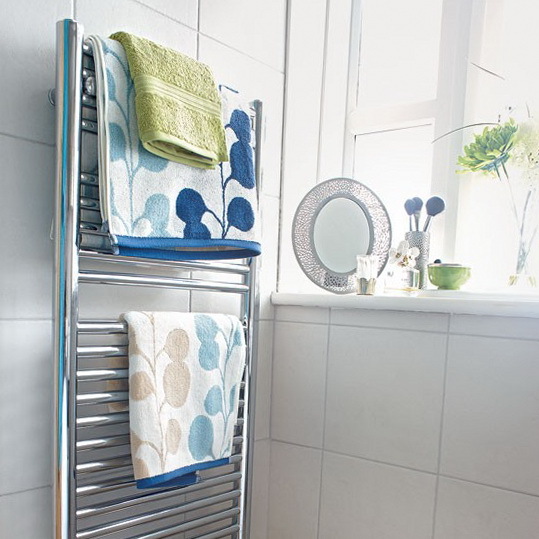 They’re also a great way to show off colourful new towels and tie your whole scheme together. And with the vast range of fab towel designs to choose from, there’s one to suit every bathroom style. 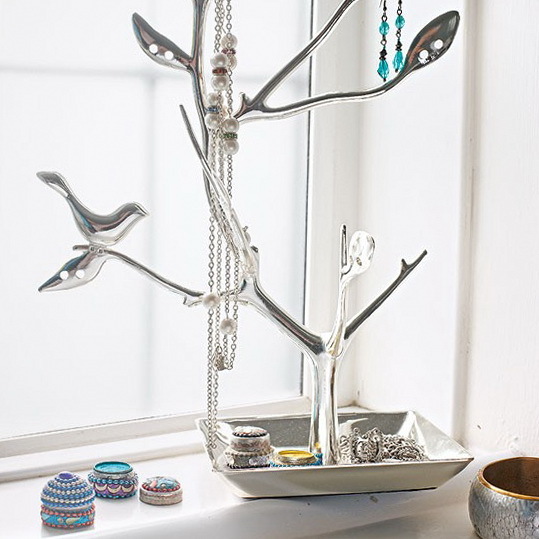 Say goodbye to tangled-up jewellery with this cute bird tree jewellery stand. It’s not only practical, but beautiful, too — perch it on an empty bathroom windowsill for an instant style update.